Patient safety in health systems has become more and more important as a theme in health research, and so it is not surprising to see a growing interest in applying systems thinking to healthcare. However there is a difficulty – health systems are very complex and constantly adapting to respond to core drivers and fit needs. How do you apply systems thinking in this situation, and what methods are available? 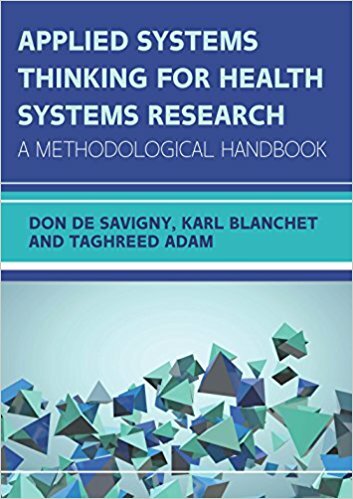 National health authorities, international donors and research practitioners need to know the "how-to" of conducting health systems research from a systems thinking perspective. This book will fill this gap and provide a range of tools that give clear guidance of ways to carry out systems thinking in health, with real-world examples.